Civic Voice celebrate their Fourth Anniversary in some style. On April 17th the Civic Voice, of which the BCA is proud to be a member, celebrated their fourth anniversary in style! As well as launching the first ever publication telling the history of the civic society movement they also introduced the Sandys Lecture and launched a video to help let the world know what a modern civic group looks like. The video below gives a snapshot of the day, if you are interested in viewing the video highlighting the work of the civic movement go to the civic voice website and view it under the link to resources or click on the link below. is it an Oak? Or a Beech tree? Come along on the guided walk to Grin low on Sunday 11th May 2014 and learn how to identify the different trees in our woods. Now that spring is well and truly here, why not come along and learn about the different trees that grow in Grin low woods. Buxton Civic Association are organising a guided walk through the woods on Sunday 11th May starting at 2.00 pm. The walk will start at the visitors centre at Poole’s Cavern and will include an introductory talk about the history of the woods and the different species of trees that can be found there, followed by a walk in the woods to get some practical experience in identifying the trees. The talk and walk is free to members and non members and families are especially welcome. Printed guides to the trees in the woods will be provided and we ask that participants make a small contribution for these on the day. Bring your water proofs just in case and some stout footwear. Buxton Civic Association are pleased to announce that we are working closely with Derbyshire, Wildlife Trust, Derbyshire Country Council, Badger Trust, and a number of local land owners to support the work that Derbyshire Wildlife Trust are doing to help protect wildlife from the risks of being infected by Bovine TB, by carrying out a badger vaccination programme in the High Peak and Derbyshire. 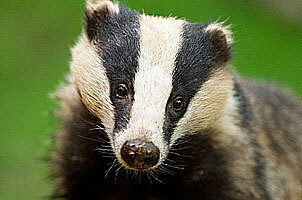 The plan is to carry out the badger vaccination programme over a period of five years, which will help to support the build up of immunity in the Derbyshire badger population and contribute to reducing the risk to the badgers and other wildlife of contracting bovine TB. Keep an eye and an ear out for further updates on our website www.buxtoncivicassociation.org.uk, on local radio, and for more information on the work the Derbyshire Wildlife Trust are doing on Badger Vaccination go to their website at www.derbyshirewildlifetrust.org.uk. 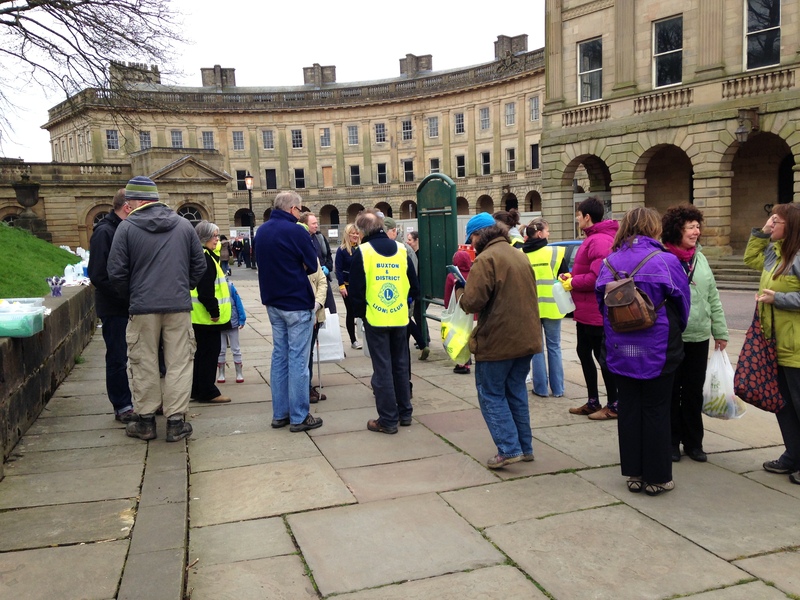 Many thanks to the Buxton Civic Association members for turning out on Saturday morning to support the Big Spring Clean organised so well by the Buxton Town Team. The Spring clean made a big impression on the town and for the town, with visitors and residents stopping to say how impressed they were at the community spirit so evident in Buxton. 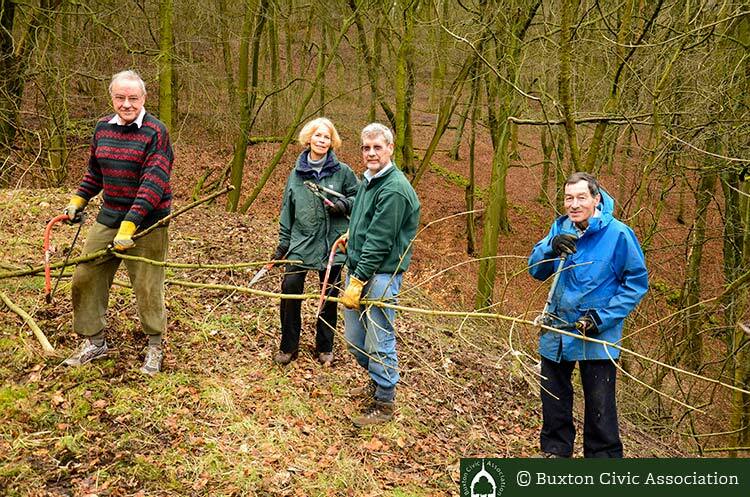 Fancy some good healthy exercise and also helping maintain the Association’s woodlands, then why not volunteer for the Woodland Working Group? The Group meets on the last Monday of the month, or on an alternative Monday if the last Monday is a Bank Holiday, at 9.30 am at Poole’s Cavern. 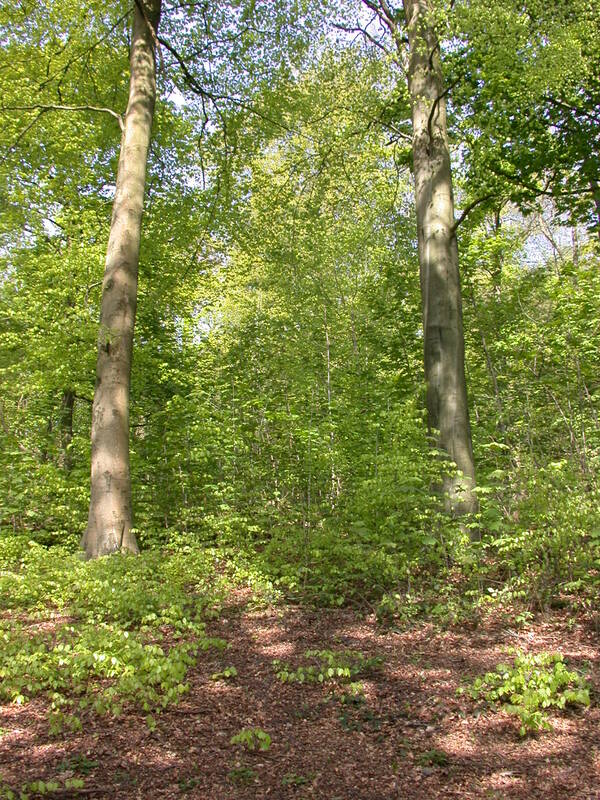 Most of the Group’s work is carried out in Grin Wood, but on occasions work is also undertaken in one of the other woods maintained by the Association. The work is not over strenuous and does not involve the use of power tools. For example, a typical morning’s work might involve assisting with the clearing of grass cuttings from the glades or the cutting back of saplings on the glade edges. Other work has included clearing paths and drainage channels and making bird boxes. We usually finish by midday. Tools are provided, but you do need to come suitably dressed and be prepared to get dirty. If you are interested give us a call on 01298 26978 and ask to speak to Alan Walker.